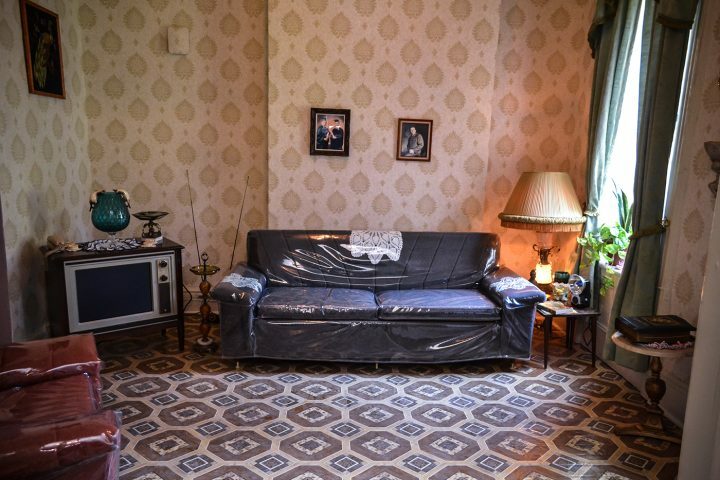 In a new tour, the Tenement Museum explores New York’s contagious history, from tuberculosis to the AIDS crisis, through three families. An estimated 50 million people worldwide died in the 1918 flu pandemic; one of them lived at 97 Orchard Street in Manhattan. 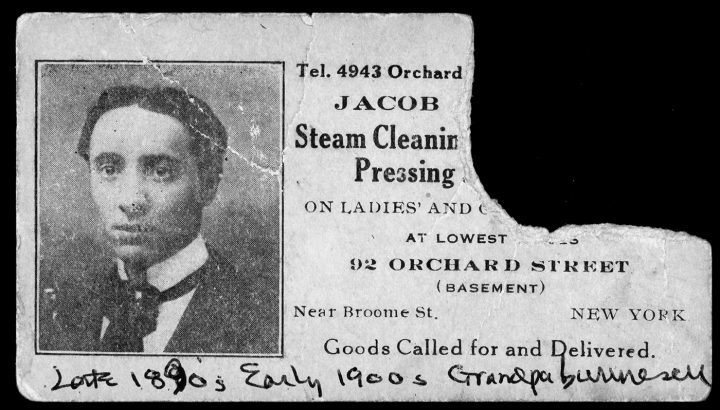 Romanian Jewish immigrant Jacob Burinescu lodged in that Lower East Side tenement with his wife Sarah and their five children, ran a cleaning business, and was an active member of the Yiddish theater community. It was while caring for sick friends in his acting troupe that he contracted the virulent strain of influenza, which soon cut his life short. His former home is now part of the Tenement Museum, and his story is remembered on its new “Life and Death at the Tenement” tour. Told chronologically, and across both of the museum’s historic buildings (the first of its tours to do so), it offers a ground-level view of New York’s infectious past through three families. The tour begins at a recreation of the backyard outhouses. They might seem rudimentary today, but when 97 Orchard opened to tenants in 1863, they represented a better management of human waste through a connection to a public sewer line. There was also access to clean water, newly available through the completion of the Croton Aqueduct in 1842. Although the 1832 cholera epidemic, and the yellow fever epidemics of the 18th century, were in recent memory, this tenement’s design showed significant advances in public health and infrastructure. Still in a big city like New York, you are never too far from your neighbors, and their germs. The three main stories of “Life and Death at the Tenement” concentrate on three major health crises in the city: 19th-century tuberculosis, the 1918 flu, and the AIDS crisis. Often, only fragments of these stories survive, with museum researchers investigating census records, photographs, oral narratives, and other archival resources to piece together a person’s life and death. The tour was launched in October and is now offered on the first Thursday night of the month. On these evenings the museum is much quieter than during the day, when a flurry of tours rotate through the floors, and its material is more somber, the stories ending in death certificates. The tour was created by Director of Curatorial Affairs Dave Favaloro with research contributions by Anna Duensing and Joey Plaster. Their work was supported by the London-based Wellcome Trust’s Contagious Cities, an international project timed with the centenary of the 1918 flu pandemic that is exploring cohabitation, microbes, and migration in New York, Hong Kong, and Geneva. Along with the Tenement Museum tour, the New York programming includes the Germ City: Microbes and the Metropolis exhibition at the Museum of the City of New York. 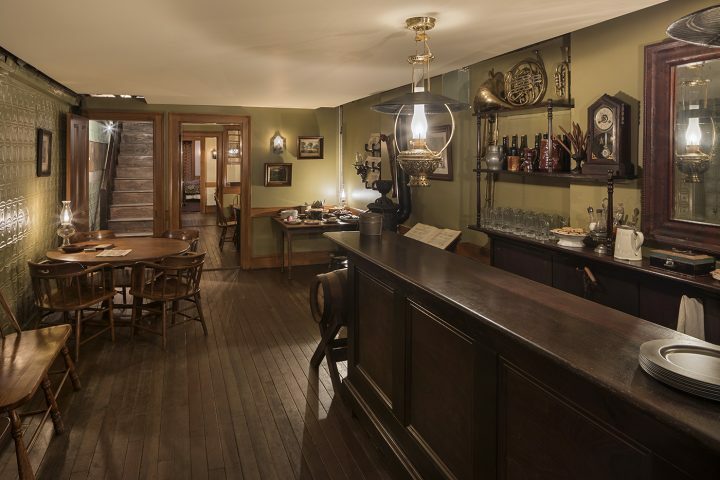 While they had previously delved into the lives of German-born John and Caroline Schneider, who together managed a beer saloon at 97 Orchard until Caroline died of tuberculosis in 1885, the museum didn’t know much about this gay couple who lived decades later at the adjacent 103 Orchard. “The closer to the present you are, the more difficult it is to find that individual level information, particularly for folks that were working class immigrants and migrants,” Favaloro stated. For instance, the National Archives releases census records to the public 72 years after they’re conducted. What the museum knows is that Jose Santiago “Benny” Beniquez and Crispin Ramos lived with HIV in the 1980s and ’90s. Whereas Jacob Burinescu and Caroline Schneider have these public records, for Beniquez and Ramos there is just a name in a phonebook, and oral history collected from their neighbors. Although their stories included moments of shared coffee and community, they’re tinged with homophobia. As Favaloro explained, they were part of the social fabric of their building but that was “implicit on their relationship being discrete.” When they got sick, that acceptance turned to distance. “Some of the power of this tour’s narrative arc is that you start in a place right before the Civil War, which is a heavily moralistic period, and then even when we as a society know about germs and microorganisms and the agents of disease causation, the moral element never goes away,” Favaloro said. “It ends with the AIDS epidemic, which has this really fierce return of a really moralistic way of looking at disease and who is responsible for getting sick.” Just as 19th-century immigrants were stigmatized as carriers of disease, so too were HIV-positive people treated with fear in the 1980s and ’90s. Within the cramped rooms of the tenements, these stories offer a sense of what it would have been like to live so closely to a potentially fatal disease. This can make for a heavy experience, especially as the final chapter deals with fresh losses. On my tour there were visitors who had lost friends to AIDS, and who had volunteered with ACT UP. 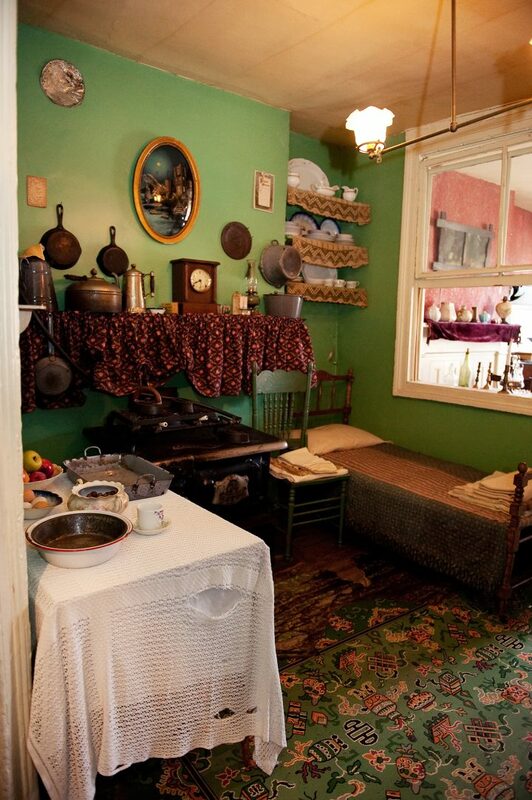 The Tenement Museum is in many ways a place trapped in time, with its 19th-century features preserved after it was closed to residents in 1935. Yet “Life and Death” shows its history resonating in the present. “Life and Death at the Tenement” is on the first Thursday of each month at the Tenement Museum (103 Orchard Street, Lower East Side, Manhattan). The next tours are December 6 and January 3.